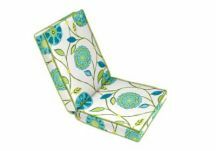 Designer Custom Source introduces Optimal Comfort seat and back chair cushions for your living space. These come with a 5 Star Rating in every category; Comfort, Retention and Weather resistance. We start with our high-quality upholstery foam. This is placed between two layers of ½" or 1" inch Micro-Gel memory foam, then wrapped from front to back with a 1 inch cumulous batting which is then put inside a water resistant ticking. This is the ultimate cushion choice for indoors and out. Your client can choose from our wide selection of indoor and outdoor fabrics or send us their own material if they don't find exactly what they want. 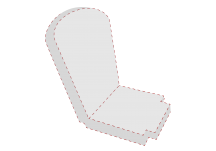 Optimal Comfort seat and back cushions can be custom-made to fit any chair but if you have a chair that does not meet our standard shapes online, you will need to send us a template with no extra charge to you or your client. Let Designer Custom Source exceed your expectations with our high-quality, made in America cushions.